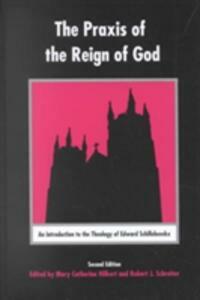 The Praxis of the Reign of God: An Introduction to the Theology of Edward Schillebeeckx. The first edition of this clear introduction to the major aspects of the work of Schillebeeckx was hailed as "an indispensable handbook of Schillebeeckx's theology." This revised edition includes a new essay on God and creation, and presents a never before published reflection of Schillebeeckx speaking about God today.